Ken Corday is excited about fall storylines on Days of our Lives. But what about the next six months? 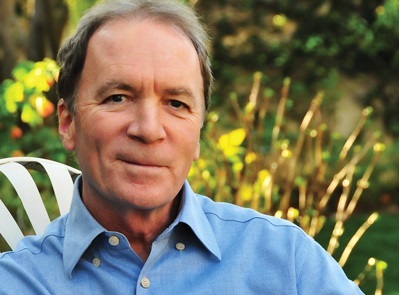 In his recently interview with Soap Opera Digest, Days of our Lives executive producer Ken Corday explained why the iconic NBC soap opera shoots episodes six months in advance. "Because the money that we’re getting to produce the show is not what it was two years ago, four years ago, six years ago. So we have to contract the production of the show, and we’re doing eight shows a week as opposed to five shows a week. So we get way far ahead and we’re not using the studio, we don’t have to pay studio overhead, and et cetera, et cetera for 13 out of 52 weeks. That’s the only way we can make our nut." It seems like the current production schedule may be the only way financially to keep Days going at this point. But it certainly can't be good news for viewers to hear the show's executive producer warn fans for the second time in three years that the next six months will not be very enjoyable. This time around, fans must wait until fall to see the impact of new head writer, Ron Carlivati. "That’s the thing we’ll be getting away from the most is the onerous, 'I can’t watch this anymore' kind of darkness," Corday tells the magazine. "I’ll just say at a time when there’s enough bad news on the air, we don’t need to see it reflected on Days of our Lives. We don’t need to see people doing the wrong things with the wrong people. People want to come to this show for a safe haven. They want to be entertained and warmed and, you know, cuddle up with Days again. The shift will take about two months for him to kind of resolidify, wiggle out of what was there in the summer, and give us a fall that’s much more in keeping with what I’m talking about." I understand that they need to keep the studio dark for 13 weeks but that's 3 months not 6 months. I am sure fans would be much happier with 3 months than its current production model.